This is the second part in my series on investing in a Lending Club Roth IRA. You can read the first article here about Opening a No Fee Lending Club Roth IRA. Lending Club has always had some pretty solid sign-up bonuses. When I opened my account three years ago, their $50 sign-up bonus definitely assuaged my initial apprehension and was part of the reason why I signed up. Lending Club was offering cash bonuses of $100-$300(thanks to reader Noah for this tip), but they actually slashed these bonuses by 25% this past Monday(5/20)! Horrible timing for me since I had already written this article, but Lending Club now offers bonuses ranging from $25-$100 depending on how much you invest. It’s not a ton of money like it used to be, but it’s better than nothing if you’re going to sign up anyways. There is an abundance of investor money out there right now so it doesn’t look like these bonuses will be going back up any time soon. $25 Lending Club Bonus on an investment of $2,500 or more. $50 Lending Club Bonus on an investment of $5,000 or more. $100 Lending Club Bonus on an investment of $10,000 or more. From my account, I can only invite people with a $25 referral bonus so YMMV on the $50 and $500 links. I would make sure to take a screenshot in case you don’t end up getting the bonus. In case you’re wondering, I won’t receive any type of bonus or commission if you sign up using any of the above three links. I do have affiliate links though where I get paid a small commission if you click on them and then sign up with Lending Club. But if you plan on investing more than $2,500, you should use one of the above non-affiliate links since my links won’t give you any type of bonus. Since my after-tax account was relatively small, I only needed to invest in new loans once every couple weeks. For my new Roth IRA, I was a little worried about investing $5,000 all at once since I have such strict filters. Either way, it was too late, since I didn’t really think about this until I already had the money transferred over. I probably should have though since what I found was that there are hardly any notes to invest in anymore. There is a gluttony of investor money and borrowers just can’t seem to keep up with the demand. I was checking constantly throughout the day and there never seemed to be more than 100 notes available. Most of which, didn’t even come close to meeting my strict filtering criteria. I was getting a little worried but then I came across some great advice from Peter at Lend Academy. Peter told me that Lending Club has started releasing all their new notes at 6 am, 10 am, 12 pm and 2 pm Pacific time each day. Once I started logging in at those times(sometimes it doesn’t update until 1-2 minutes after) I was often seeing the number of notes jump from 50-75 to 150-200 depending on the day and time. I finally had the selection I wanted but now I had to decide which notes to invest in. I did a lot of experimenting searching for notes using various filters and I finally settled on two variations. The first filter I call my tier 1 filter and I invest in $50 notes with it. The second filter I call my tier 2 filter(real creative, I know!) and I invest in $25 notes with it. I plan on owning about $2,500 worth of tier 1 filters and $2,500 worth of tier 2 filters. That should give me around 150 total notes, I think that’s plenty for diversification purposes. I also add my own filter at the end and I don’t invest in any loans that have a title or description of credit card consolidation, payoff, get out of debt, etc. This is the majority of loans on Lending Club but I have never like investing in these types of loans. I think my tier 1 filter is pretty self-explanatory. I’m looking for homeowners who don’t want too much money and have a decent credit history. I didn’t really do any in-depth analysis to come up with these filters, I just played around with them over the past few years and relied on past data. The only changes I made from tier 1 to tier 2 is to increase the loan amount, add B grade borrowers and lower the minimum length of employment. I did this in part because I needed more loans to invest in so we’ll see how these play out. The one thing to note is that I no longer invest in 60 month notes. I don’t think the slight increase in interest rate is worth the additional two years of risk that a borrower could default on the loan. You can use a site like LendStats to test your filters and see how they have performed in the past but don’t get too caught up in it as past performance is not always a good predictor of future performance. In just two weeks, I’ve already accumulated 27 notes that meet my filtering criteria and the split is exactly 50% for now. I have $450 invested(9 notes) in Tier 1 notes and I have $450(18 notes) invested in Tier 2 notes. I set a recurring Outlook reminder at 10 am and 2 pm to check the platform for new notes and it takes about a minute to quickly log on, check for notes and invest. I usually find 1-2 tier 1 notes a day and 2-3 tier 2 notes a day. So that’s the strategy I’ll be using from now on. I’m probably going to slowly start phasing out my after-tax account since otherwise I’d be investing in a lot of the same notes in my Roth IRA. Like I said in part 1, I’m going to invest a total of $10,000 and see how it goes. If things go well after a year or two, I’ll probably open up another Roth IRA in my fiancee’s name(with a sign up bonus of course) and do some more investing there. Ultimately, I would like to use these accounts as part of my passive income strategy but for now I can be patient. Readers, what do you think of my investment strategy? Do you use similar filters or do you just pick whichever loans look good to you? I’m still annoyed we can’t use this in Canada. I really wanted to try this out, but now I have to live vicariously through other bloggers! 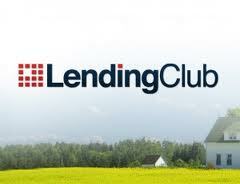 I’ve been thinking about getting going with Lending Club for a while now. It’s been a month or so since I’ve revisited the idea and I had no idea you could open a Roth. That’s something I need to look more into. Thanks for the great article! No problem Mr. B! I think the Roth is really a great tool and to pair it with LC can provide for some fantastic earning potential. I’m pretty excited to fill up my account and start making money.